OnePlus, the Shenzhen, China-based startup with a rabid internet following, has never faced fiercer competition. Its newest flagship, the OnePlus 5T, competes not only against heavyweights like Samsung’s Galaxy series and the Google Pixel 2, but newcomers like the Essential Phone. It’d make anyone sweat. But OnePlus is nothing if not audacious, and the OnePlus 5T stands as a testament to its tenacity. It’s a revision of the OnePlus 5 that launched earlier this year, and little in the way of software and internal hardware has changed. But there’s more than enough here to please longtime customers and newcomers alike, including a striking 18:9, 2160 x 1080-resolution display, a highly customizeable software experience, and brand-new features like Face Unlock. We’ve already detailed the specifications, pricing, and availability of the OnePlus 5T, as well as the many small changes across the phone’s hardware and software. But there’s a lot to unpack. That’s why we’re splitting our review of the OnePlus 5T into two parts: One that covers the design, user interface, user experience, real-world performance, charging and battery life, and development, and a second part that’ll cover the display, audio, hardware, camera, and other odds and ends. The phone’s rear cover is smooth to the touch. The 18:9 screen dominates the front. The OnePlus 5T’s design is both one of the device’s main attractions and one of the key advantages that it offers over its predecessor, the OnePlus 5. On the surface, not much is new, as you can infer from the comparison pictures. However, there’s more to it than meets the eye. 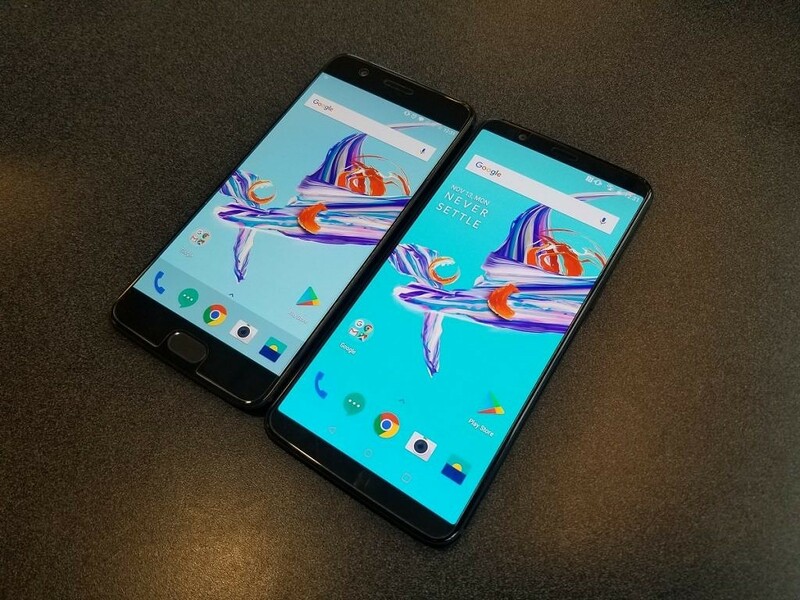 While the OnePlus 5 and OnePlus 5T fit the same way into their respective OEM cases, the dimensions are different, with the latter’s 156.1 x 75 x 7.3 mm (6.15 x 2.95 x 0.29 in) body measuring almost two millimeters taller and a millimeter wider than the OnePlus 5. 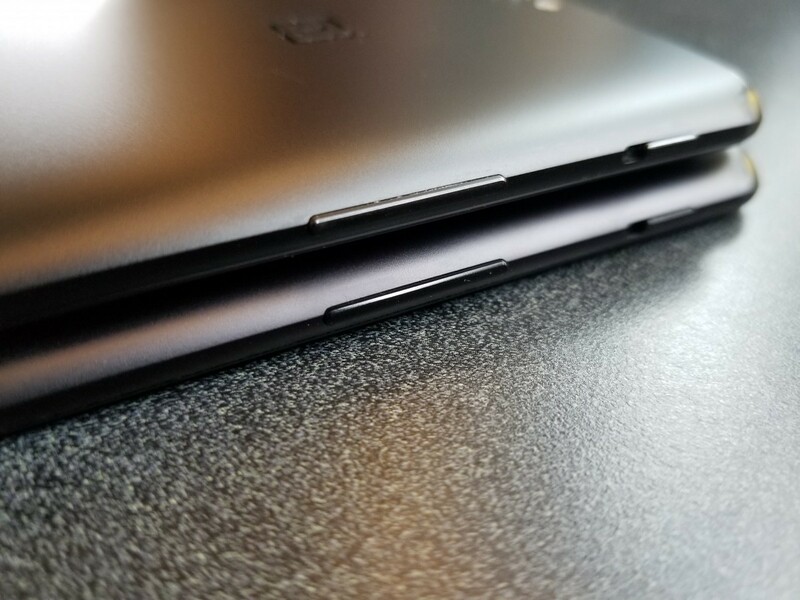 They’re both equally thin, but the OnePlus 5 comes off as slightly thinner because of its larger surface area and display (more on this later). 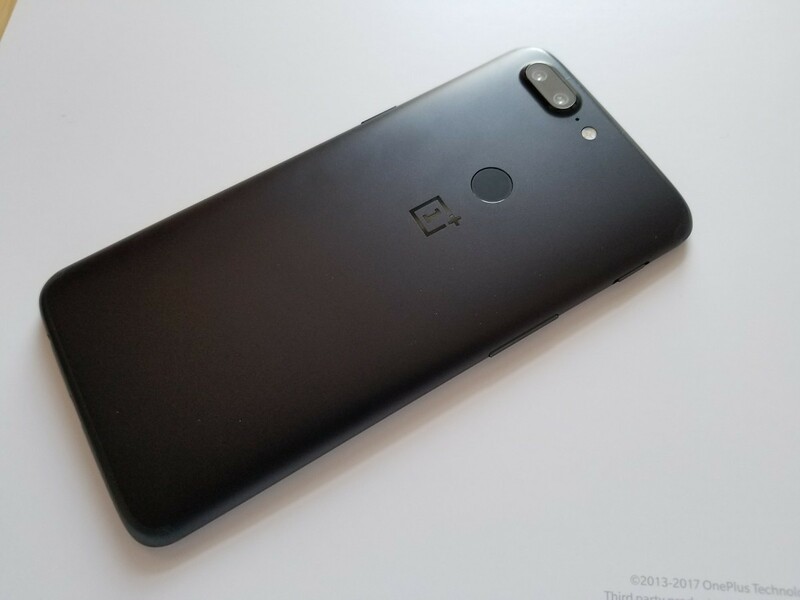 The Midnight Black OnePlus 5T, which was the only available model at launch and remains the only OnePlus 5T variant in North America and Europe, is also a bit darker than the OnePlus 5 thanks to a slightly different material coating. It’s quite fingerprint-resistant despite its jet-black matte look, something that OnePlus has been improving with each generation of the OnePlus series since the OnePlus 3T. The back of the OnePlus 5T features OnePlus’s “hard edge” design, wherein the sides’ subtle curvature extends further into the phone than on most other devices. The result is something that’s often comfortable to hold, and with edges that don’t feel as sharp as those on the OnePlus 3/3T and other razer-thin devices. (It’s all the more appreciable if you hold it in your hand for long periods of time without a case). The OnePlus’s curve also brings out the shininess of the anodized aluminum back plate at just about any angle, though the OnePlus 5T one of the less-flashier phones we’ve seen in 2017. The OnePlus 5 compared to the OnePlus 5T. On of the back of the OnePlus 5T is the fingerprint scanner, with low reflectivity that stands in contrast with the rest of the phone’s body. The placement of the sensor is excellent, and that’s worth noting: It’s been a point of criticism for high-profile devices such as the Samsung Galaxy S8. Below the fingerprint scanner is the OnePlus logo, engraved on the chassis and featuring a dark but shiny finish that doesn’t look like it’d scrape off easily. The camera hump at the top-right is similar to the OnePlus 5’s, but slightly bigger, which isn’t necessarily better — it props the phone at an uncomfortable angle when it’s lying flat on a table. (The glass is slightly recessed to prevent scratches that might negatively impact photos and videos, so that’s one less thing to worry about.) Besides the camera, there’s the OnePlus 5T’s two-tone flash and antennae bands that ensconce the top and bottom of the device, which are painted black to blend in with the aluminum chassis. That antennae placement doesn’t seem to have negatively impacted signal strength. I’ll state here that I have not experienced the signal issues while covering a portion of the antennae bands with my hand, unlike the OnePlus 5. The sides of the phone are thin, but not thin enough (or sharp enough) to negatively impact grip or comfort. In general, the OnePlus 5T fits very well in the hand, and while its back texture is still a tad slippery, it’s grippy enough for someone with average-sized hands to firmly grasp. The OnePlus’s button placement is in line with OnePlus’s longtime design paradigm, with the power button sitting where the right-hand’s thumb naturally rests and the left-side volume keys easily accessible with the middle finger. All buttons are clicky and sturdy, exhibiting little in the way of side-to-side give — something that’s been hit or miss with OnePlus phones in the past. The only hardware key that’s just out of reach is the alert slider, a button with a tactile diamond surface that lets you toggle sound and notification profiles. The slider itself is firm and satisfying, though we still have some qualms about its lack of customization and default behavior. 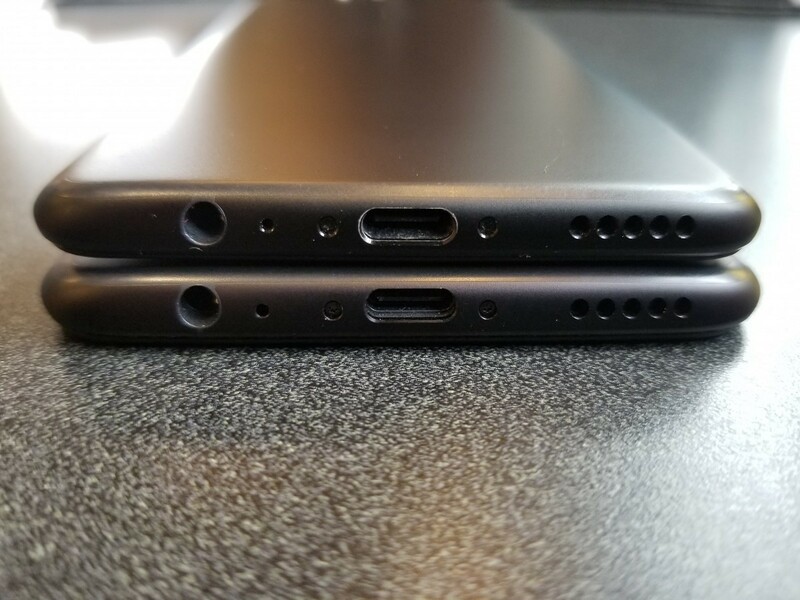 The bottom of the phone houses a lone speaker grill, which gets quite loud (more on this in part 2 of our review), a USB Type-C port for data transfer and Dash Charge (more on this below), and a headphone jack, and the top of the phone is barren of holes and ports. You’d be hard-pressed to tell the differences between the OnePlus 5T and OnePlus 5 from the top and bottom alone — it’s the front that’s undergone the most change. With the fingerprint sensor moved to the back to free up space and other front-facing elements like the selfie camera, LED, and earpiece pushed slightly up from their positions on the OnePlus 5, OnePlus has extended the height of the display. The vibrant 6.01-inch 18:9 (or 2:1) screen takes up most of the phone’s front, and the extremely thin bezels easily put the OnePlus 5T in the “full-screen device” category of devices… though it falls just short of “bezel-less”. Still, the OnePlus 5T features significantly smaller bezels than competitors like the Pixel 2 XL, and, coupled with the 1080 x 2160 resolution AMOLED panel, delivers an excellent screen-viewing experience. A more detailed display analysis is coming in part 2 of our review, but I’ve dedicated a small paragraph to it below as well. Simply put, the OnePlus 5T may have my favorite 1080p panel on a smartphone. 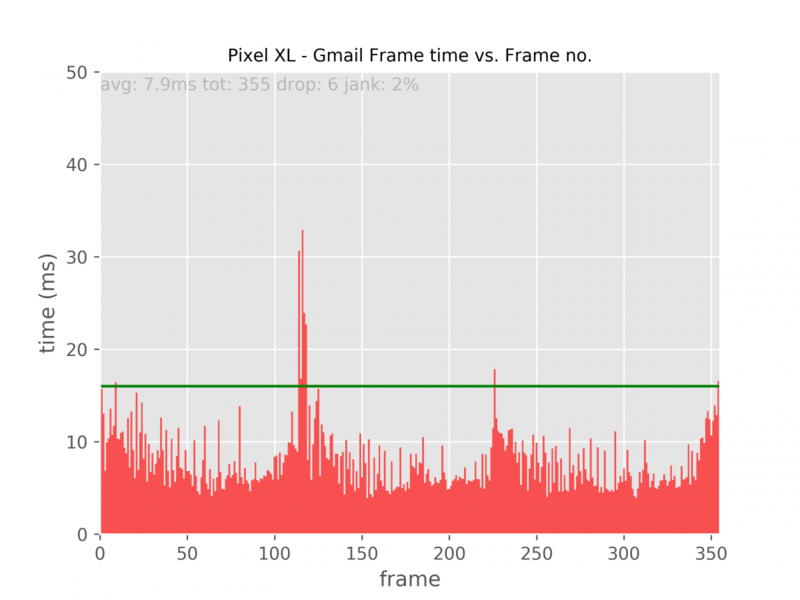 The effective pixels-per-inch are lower than on a 1080p LCD panel, mind you, given that the pentile matrix of the phone’s AMOLED display results in lower effective color resolution because of the uneven colored subpixels arrangement. That said, blurriness hasn’t been an issue in day-to-day usage. The screen’s colors are vibrant, and it’s bright enough to use comfortably outdoors, thanks also in part to its low reflectivity. The OnePlus 5T screen is also highly customizable: If you don’t like the default color calibration, there are five screen profiles to choose from, plus settings to tweak the screen temperature and other display parameters. I’ll detail more of the OnePlus 5T’s display options and features in the display section part of our OnePlus review, coming in part 2. Unlike the OnePlus 3T, the OnePlus 5T isn’t a huge step up from its predecessor in terms of internal hardware. Both devices have the same Snapdragon 835 processor running at the same clock speeds, and the same LPDDR4X RAM and UFS 2.1 flash storage. Because there are barely any differences in hardware, and because both phones run more or less the same version of OxygenOS, you’d expect both phones to perform at just about the same level… and, well, they do. OnePlus devices have often been praised for their real-world performance, and the OnePlus 5T is no exception. The company has focused on delivering excellent speed and fluidity since the OnePlus 3 (with the OnePlus 2 being a rare exception to the rule), and took things a step further with the OnePlus 5 and 5T. So how does the OnePlus 5T perform, how does it accomplish its feats, and what could be improved? 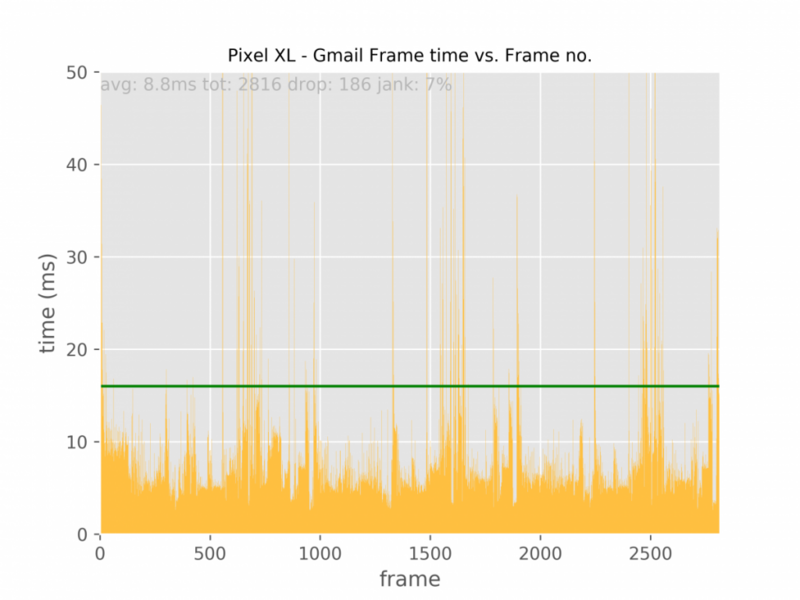 Methodology: In order to test real-world fluidity, we’ve extracted the frame times of the OnePlus 5T plotted against other devices under the exact same usage scenario. They’re the tests we performed in our Note 8 real-world analysis: We put together a tool to extract and parse the frame data, and a UI automation system that allowed us to build macros that mimic real-world use cases by simulating touch input — scrolling, loading new activities or windows, and compound tests with complex UI navigation. These tests were run across a Pixel XL, a OnePlus 5T (6GB) and the Galaxy Note 8, with all devices set to 1080p resolution and all devices fresh off a factory reset. We made sure the tests were perfectly synchronized across devices, measuring the same actions at the same time, with multiple tests across each device to validate our results. 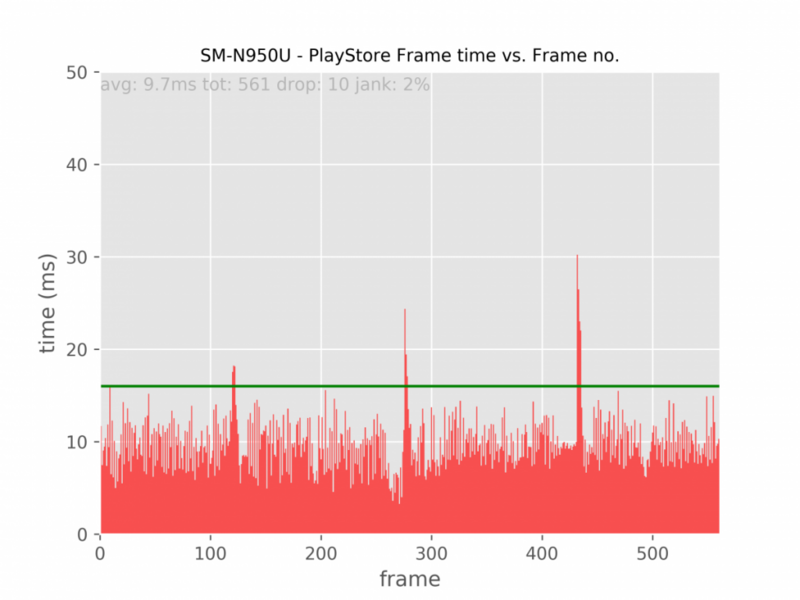 Repeated tests continuously show minimal variance in the number of frames captured, though the number of total frames captured on each test varies significantly across devices. 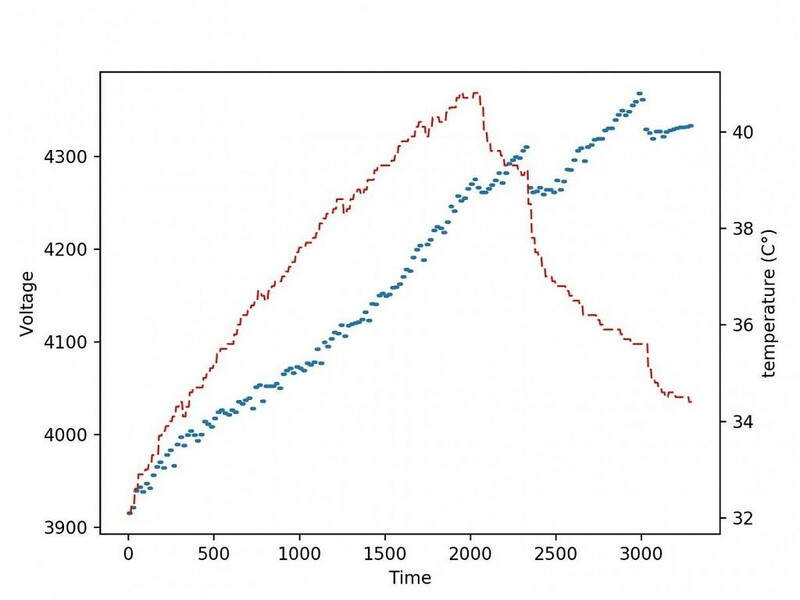 This is because these devices behave differently in their scrolling acceleration/final velocity, and set different baseline speeds for many actions and transitions (even at the same 1x setting). In terms of overall system fluidity, I have to be honest: The OnePlus 5T does not offer the smoothest experience out there. When I’ve mentioned this in conversation and online discussions, it often comes as a bit of a shocker — particularly to other OnePlus users. The OnePlus 5T certainly seems fluid in scrolling lists and screen transitions, but the frame times tell a different story. As evident in our performance comparisons, the OnePlus 5T exhibits behavior closer to the Samsung Note 8 than the Google Pixel in this regard. 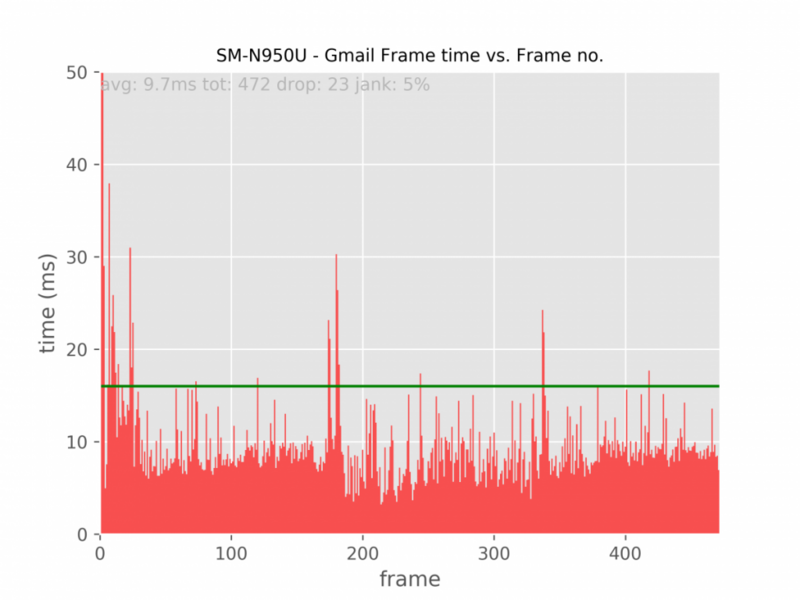 To be fair, though, the low percentages of janky frames mitigate the issue, and the large spikes depicted in the histograms — which are particularly common when initiating scrolls — correlate to user input lasting fractions of a second. Part of the reason the OnePlus 5T appears to be smoother and snappier than it actually is are the animations. 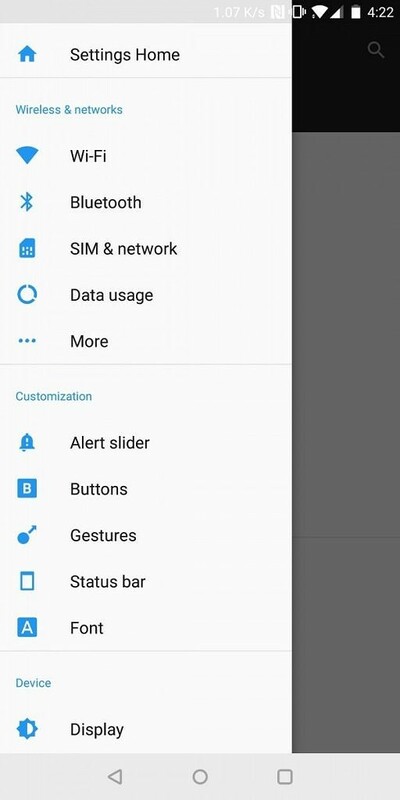 Ever come across forum posts suggesting that you lower Android’s animation speed in the developer options so that your phone appears snappier? That’s one of the oldest in the book, but it does work — OxygenOS’s default animations are slightly faster than the default animations on other devices, even at the “x1” setting in developer options, and this reduces the perceptibility of stutters and makes actions seem to execute faster, too. In addition to quicker animations, OxygenOS also implements subtle fade-outs and other transitions, making the animations appear to end faster. There are also fade-ins when opening applications, and in general, OxygenOS never lets animations get in the way of navigation. 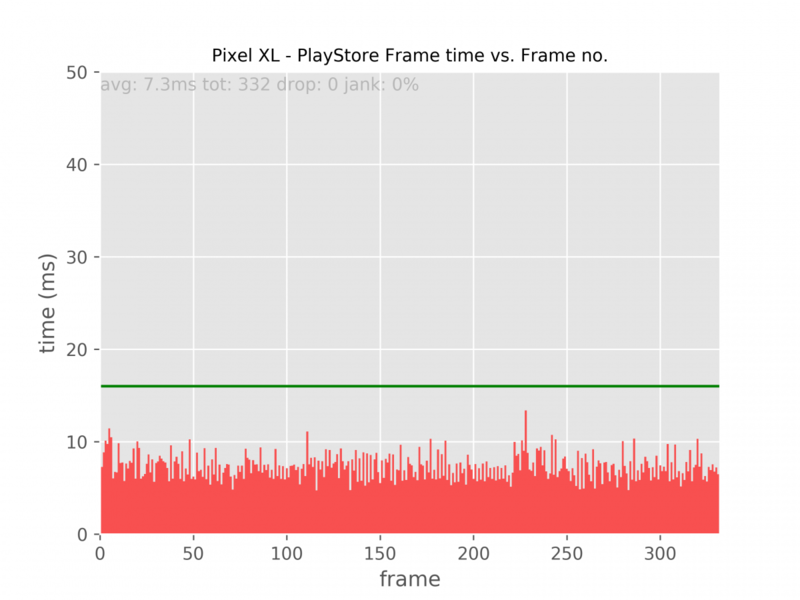 Of course, there wouldn’t be much point if the OnePlus 5T’s couldn’t load content faster than its animations finished playing. That’s the reason some OEMs prefer to use slower UI transitions, and why splash screens have become almost commonplace — it’s all to mask loading. Luckily, the OnePlus 5T exhibits excellent in-app performance and application launch times. In fact, it only trails behind the Pixel 2 XL in this area. The phone just screams, and, coupled with the quick animations and relatively low touch latency that’s a staple of newer phones, it ultimately ends up feeling much faster than what graphs or words can describe. 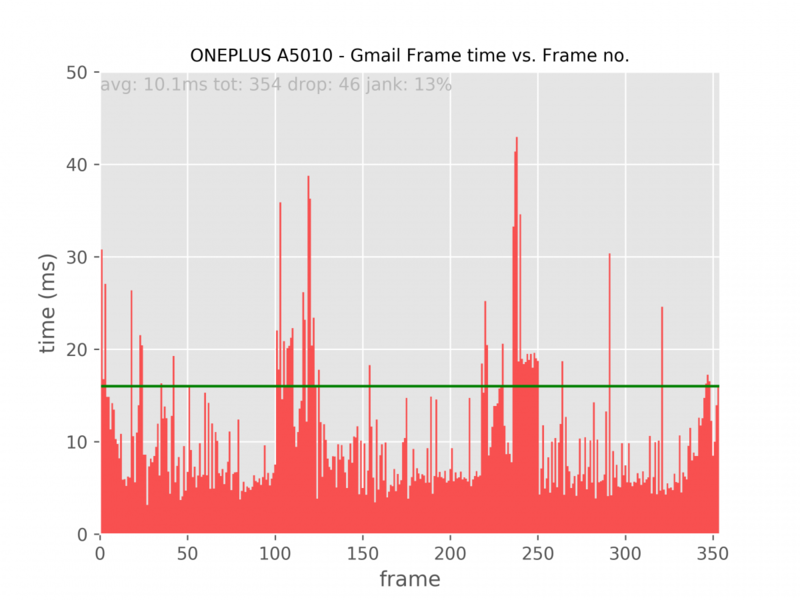 This video shows OxygenOS on the OnePlus 3T ramping animation speeds. 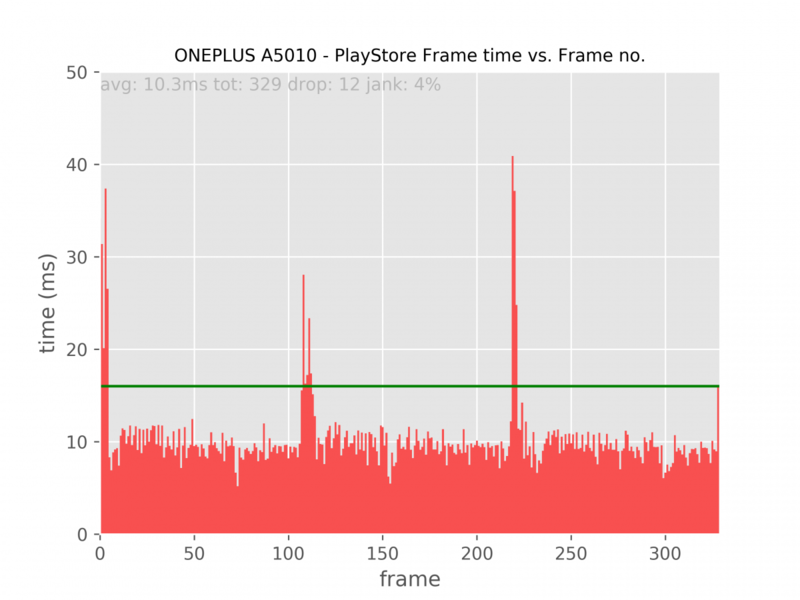 That’s par for the course for OnePlus. 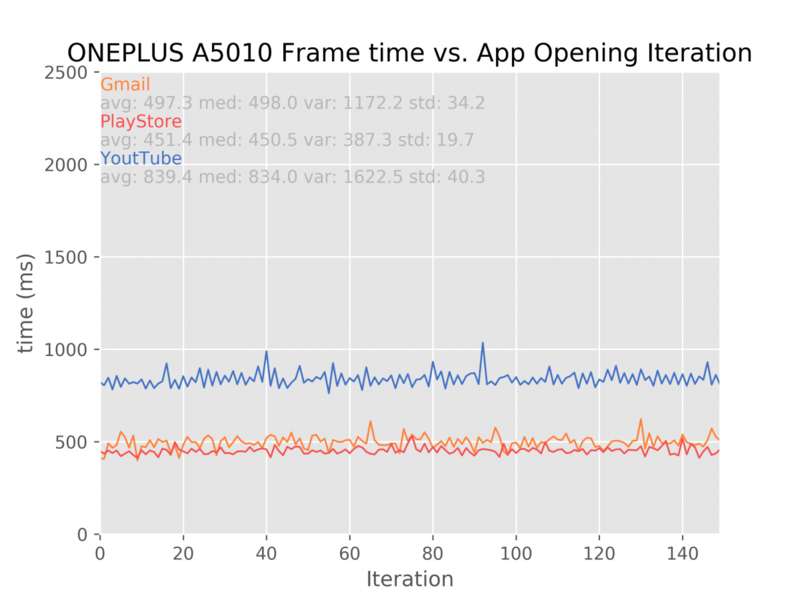 Taking a look back in history, it’s worth noting that OnePlus gained a significant performance advantage when it moved from ext4 to F2FS on the OnePlus 3 and OnePlus 3T, and company was one of the first to implement a CPU core frequency boost upon launching applications, which quickly scaled up and maxed out clock speeds on all cores in a short burst to eliminate the CPU as a possible bottleneck for application launch and reload times. In fact, this is the only way the OnePlus 3T achieved its higher 2.19GHz frequency on the Snapdragon 821’s LITTLE cluster. The OnePlus 5T doesn’t benefit from quite the same performance boost as the OnePlus 3T — it’s formatted storage is formatted ext4, not F2FS — but it experiences some speedup thanks to UFS 2.1 storage. This is another example of OxygenOS’s animation “tricks”, again on the OnePlus 3T. 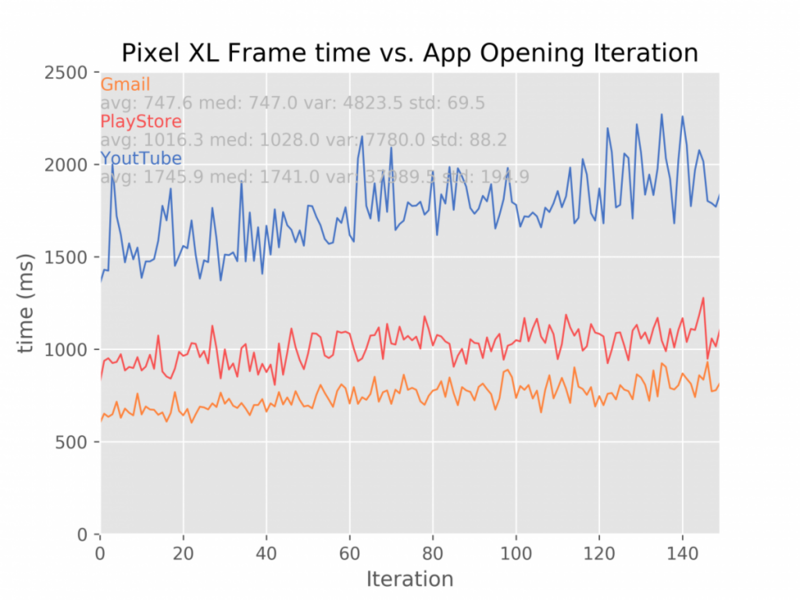 Methodology: We measured cold-start launch-time performance of Gmail, the Play Store and YouTube on the Pixel XL, OnePlus 5T and Galaxy Note 8. Keep in mind that we are not measuring the time it takes for an app to be fully rendered with all its elements drawn on screen. 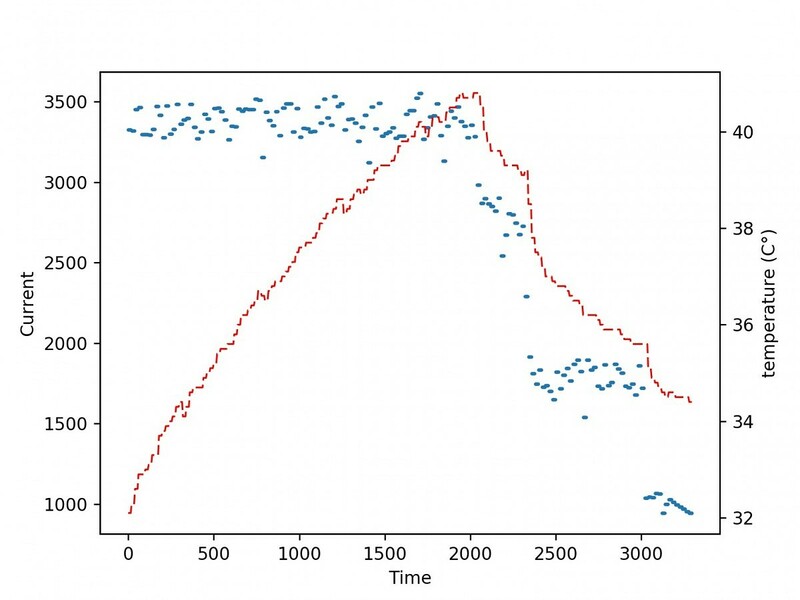 Rather, we are using a proxy by recording the time it takes for the app to create the main activity of the application. 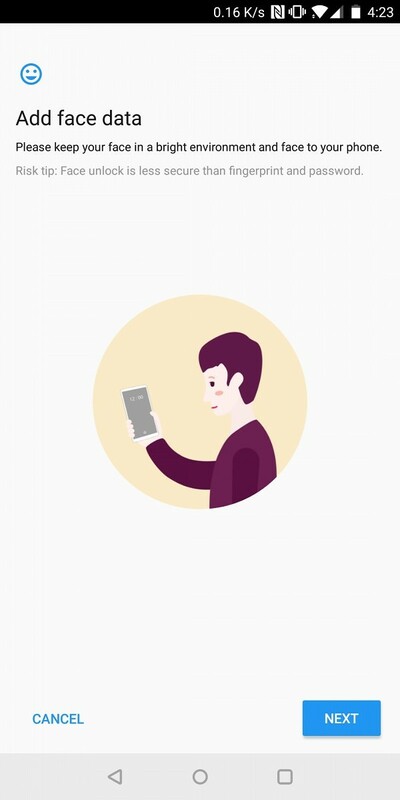 The time measure we include encompasses launching the application process, initializing its objects, creating and initializing the activity, inflating the activity’s layout and drawing the application for the first time. 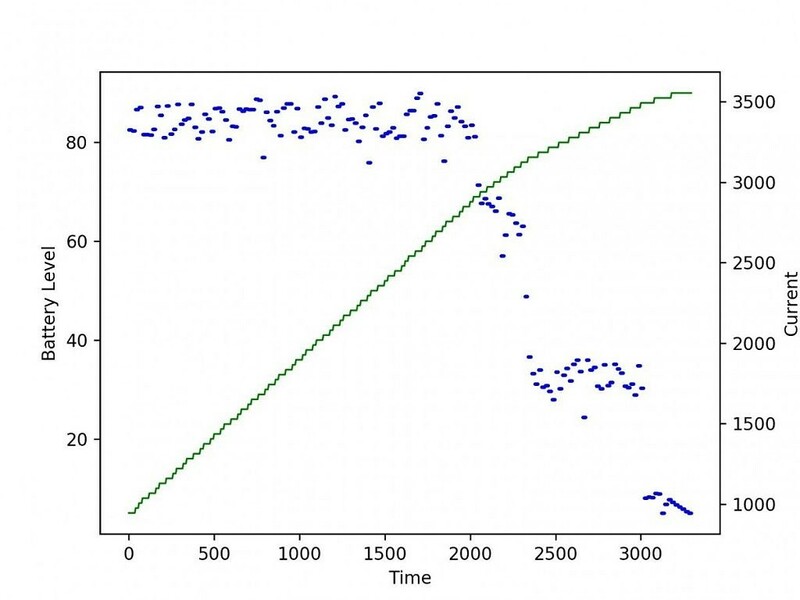 It ignores inline processes that do not prevent the initial display of the application, which in turn means the recorded time is not affected by extraneous variables such as network speed fetching burdensome assets. 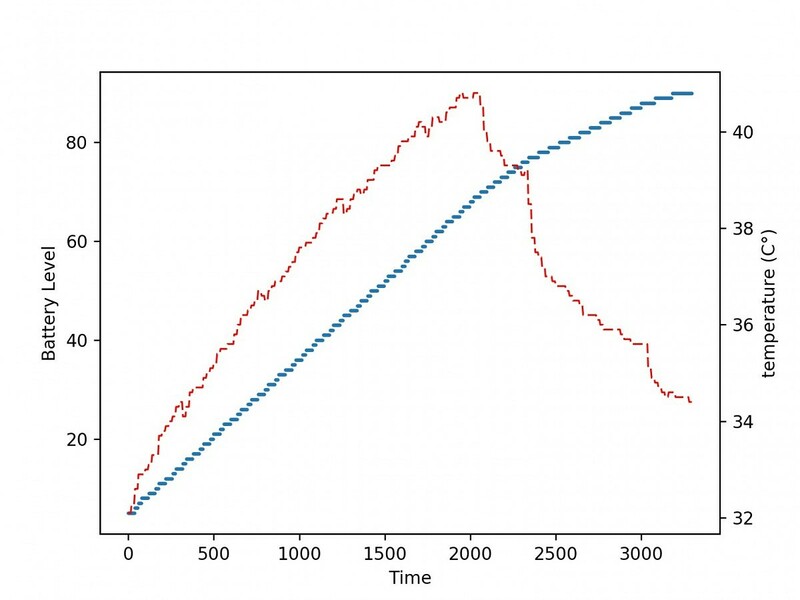 Also keep in mind that the phones tested immediately top up their CPU frequencies whenever an application is launched, minimizing CPU bottlenecks. 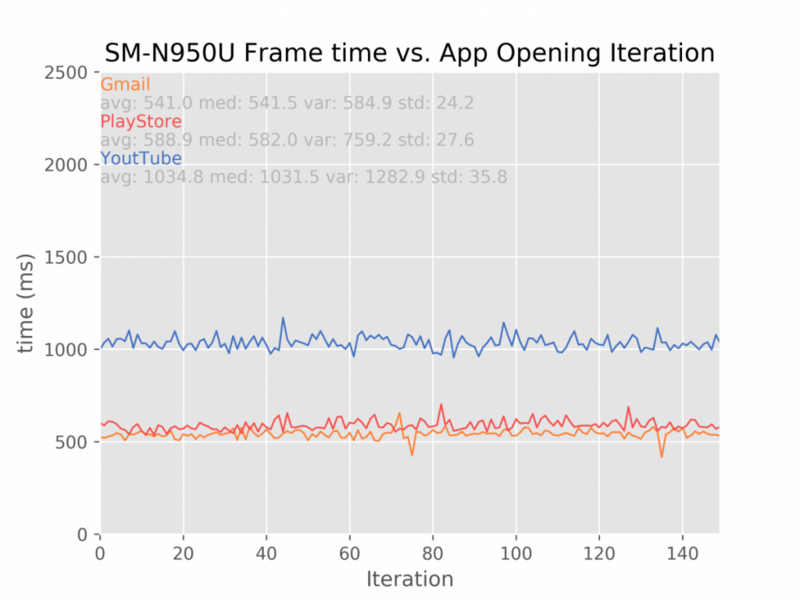 We cycled through the three applications, and opened each of them 150 times, to look at how these phones’ app-launching capabilities perform over time. Launching applications quickly is great, of course, but keeping them in RAM so they don’t have to relaunch is even better. With 6GB and 8GB RAM in the two models of OnePlus 5T on sale, you’d think the OnePlus would excel, here. Sadly, you’d be wrong. 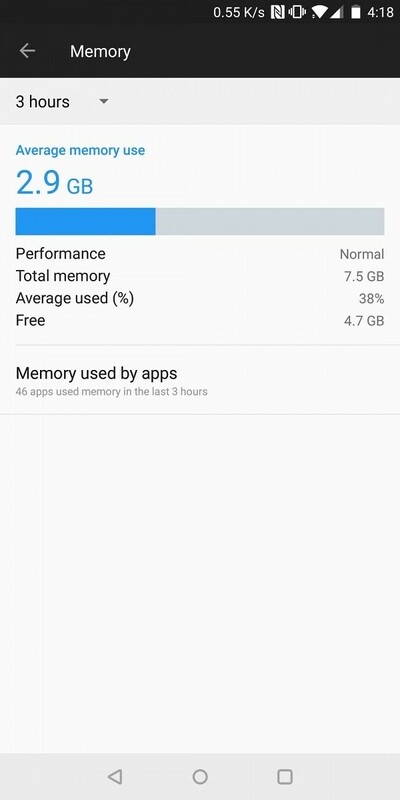 The OnePlus 5T’s RAM management is rather unimpressive when it comes to day-to-day usage. Great RAM management is about more than just multiple gigabytes of RAM, and it’s where terms like “OOM” and “LMK” come in. A device with more RAM should be able to, in theory, cache more processes in the background without triggering Android’s “low memory killer” driver (LMK), which, as the name implies, kills background processes. OEMs can adjust LMK minfree values to tweak the aggressiveness of RAM management, and they can institute hard limits on the amount of apps and background processes a phone can sustain at any given point, regardless of how big the RAM pool is. This has been an issue with OnePlus devices since the 6GB OnePlus 3, which came with the build.prop setting ro.sys.fw.bg_apps_limit set to 20. That capped the number of in-memory applications to about 12 or so, which OnePlus addressed by upping the value to 30 in a software update. It’s stuck with that value in the OnePlus 5T, supposedly to achieve a balance between effective performance and battery life. That said, unless most of your apps leave large RAM footprints, you won’t see much of a benefit from the OnePlus 5T’s added RAM unless you change the build.prop setting manually or opt for a custom ROM. It will work if you want to, for example, keep multiple games in RAM alongside other apps, but the crux of the matter is this: The phone’s multitasking capabilities are great, but not OMG-I-have-8GB-of-RAM-now great, and while OnePlus isn’t solely to blame given that it’s working within the limitations of Android’s memory management, there’s nothing prevent it from altering the system settings in such a way that makes full use of the OnePlus 5T’s RAM. 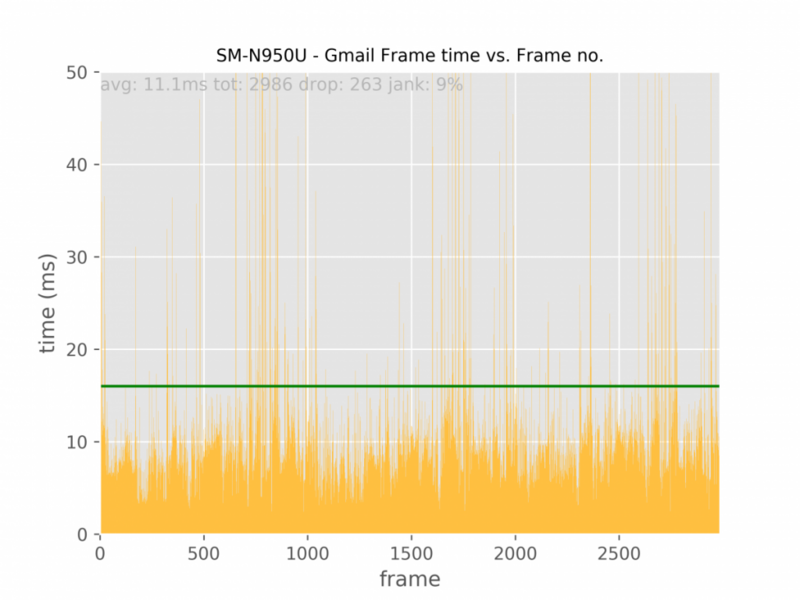 In fact, many agree that 8GB of RAM might not be neccessary (and have opted, instead, to save $60), because the 6GB model seems to be more popular, if shipping times are any indication on OnePlus’ website since the 5T launched. At the end of the day, though, because the OnePlus 5T launches applications so quickly from cold-starts, you’re unlikely to miss the OnePlus 5T’s RAM very often. OxygenOS’ user interface has been compared to Stock Android, and rightly so — it doesn’t overload its user interface (UI) elements with colors, custom icon styles, and other changes frequently found on original equipment manufacturer (OEM) ROMs such as Samsung’s TouchWiz and Xiaomi’s MIUI. It’s a reserved approach to UI design that seeks to address only that which can be improved. Over the past two years, OxygenOS’ closeness to Stock Android hasn’t been incredibly consistent, with recent Oreo-based builds for the OnePlus 3/3T and OnePlus 5 slightly distancing themselves from plain-Jane AOSP Android. Luckily, though, the OnePlus 5T’s OxygenOS ROM mostly resembles the Nougat version found on the OnePlus 5. In this section, we’ll be taking a look at both what has changed, and at OxygenOS in its own right. But first, a bit of a primer for those unfamiliar with OnePlus devices: The company launched its first smartphone with CyanogenMod 11S by Cyanogen Inc., but was later forced to develop its own software after a series of legal disputes ended the partnership between the two companies. OxygenOS and HydrogenOS are the ROMs for the Western and Eastern markets, respectively, and have shared an underlying framework for over a year. While HydrogenOS sharply deviates from AOSP in order to cater to Chinese customers, OxygenOS is fairly close to Stock Android, and the features that have been added (detailed below) haven’t impacted its clean, uncluttered user interface and fast performance. 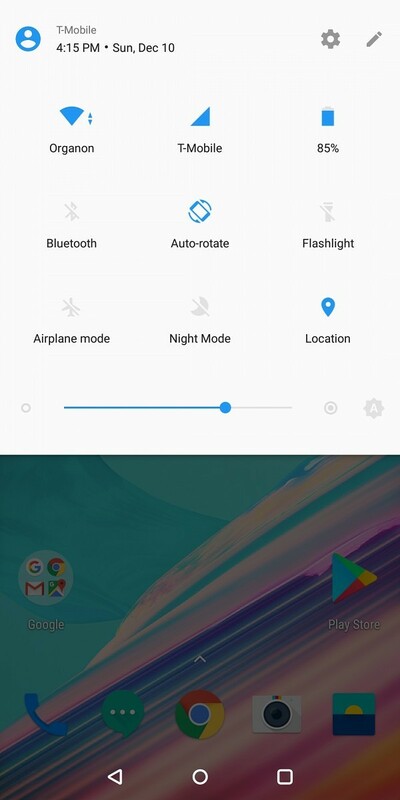 The OnePlus 5T’s UI adheres to Google’s material design guidelines, most obviously in the app icons, quick toggles, and the settings menu. OnePlus’s proprietary settings application replaces Android’s AOSP settings, but not without good reason: It’s where you’ll find the OnePlus’s custom settings and options, and there are many of them. 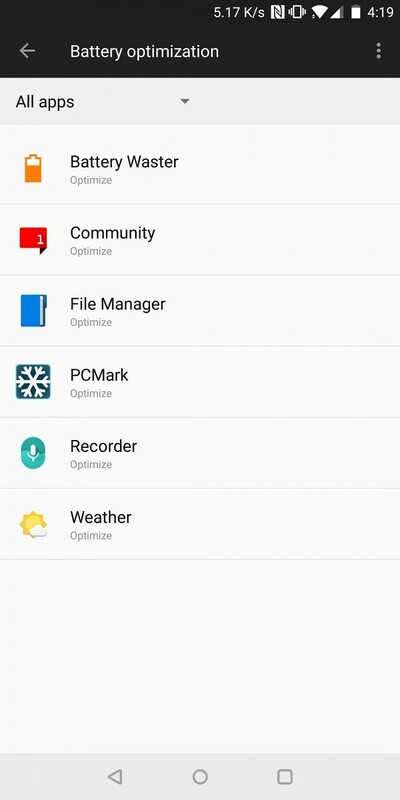 Anyone familiar with a Stock Android device will feel right at home with settings app’s arrangement. There are no columns, just a list of elements and a few subheadings under each section. A swipe from the left side brings up a side panel containing shortcuts to each section, like most Nougat ROMs, and the OxygenOS build’s default color is a shade of blue not unlike the Google Pixel’s blue theme. OnePlus has left the System UI’s other elements alone for the most part. 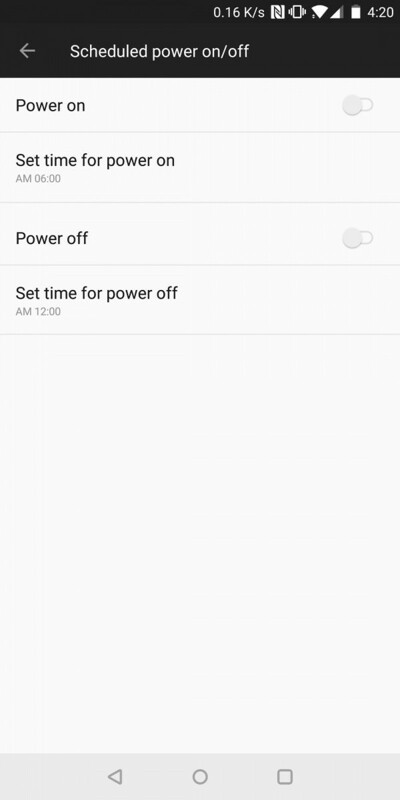 Notifications, quick settings, and quick toggles behave just like you’d expect, though they can open summaries and additional options rather than acting as strict toggles. 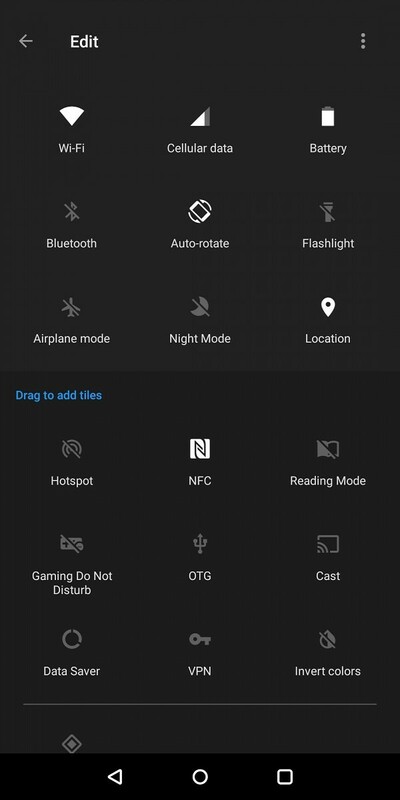 Years ago, OnePlus was one of the first OEMs to offer quick settings tile customization through, but it’s since embraced the Stock Android “edit” functionality at the top right. The OnePlus 5T’s quick settings tiles are worth expanding on, so here’s a quick rundown: You’ll find (OnePlus/non-standard tiles in bold) tiles for Wi-Fi; Cellular Data; Battery; Bluetooth; Rotation; Flashlight; Airplane Mode; Night Mode; Location; Hotspot; NFC; Reading Mode; Gaming Do Not Disturb; OTG; Cast; Data Saver; VPN; Invert Colors; and a multi-user shorcut to guest mode, which lets you add guest profiles for whenever you lend your phone to someone else. You’ll also find a brightness slider, as well as an auto-brightness button. 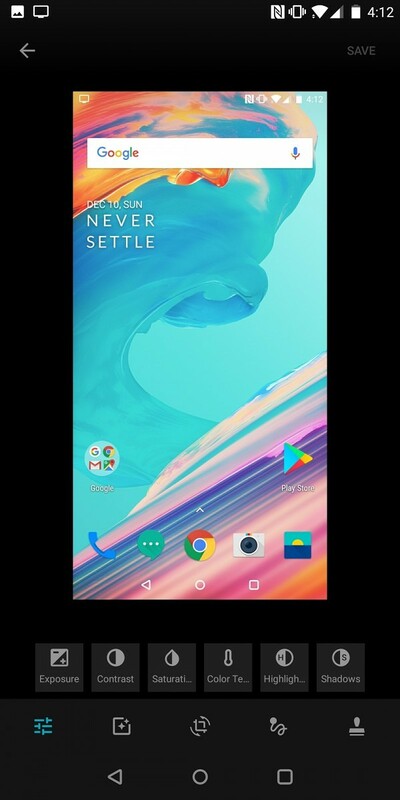 Other elements of the OxygenOS UI have seen a few changes, mostly in the form of features such as a numeric network speed icon in the status bar and a OnePlus Slate font. For example, while the multi-tasking menu looks and behaves almost identically to the Stock Android version, there’s now a “clear all” button that instantly clears the list of applications. Furthermore, it’s customizeable: You can program the button to perform a “normal clear” that clears the task list and device cache, or a “deep clear” that clears background processes and kills apps running in the background. Another small change here is the old “X”-shaped mark at the top-right side of each task card, which was used to close apps without swiping, has been replaced with a lock icon that lets you “sticky” certain apps. “Sticky” apps can’t be swiped away and/or cleared from memory unless you press the lock icon again. The default launcher in OxygenOS is better than most. 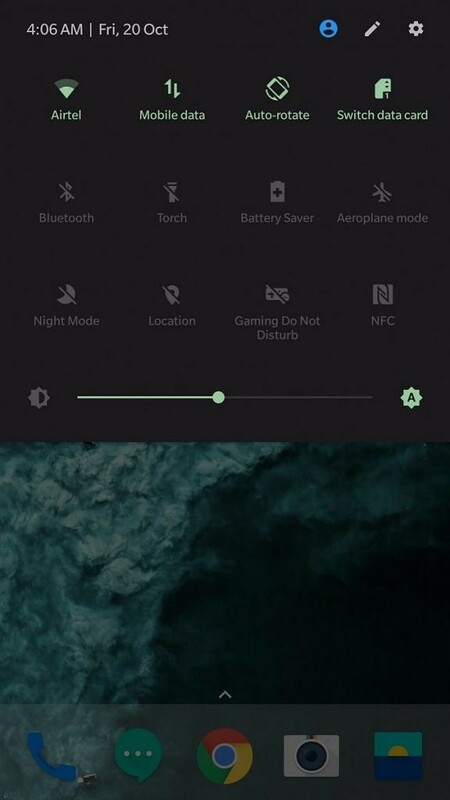 OnePlus paid a lot of attention to detail to the homescreen animations and app drawer transitions, and most of the additions are genuinely useful. 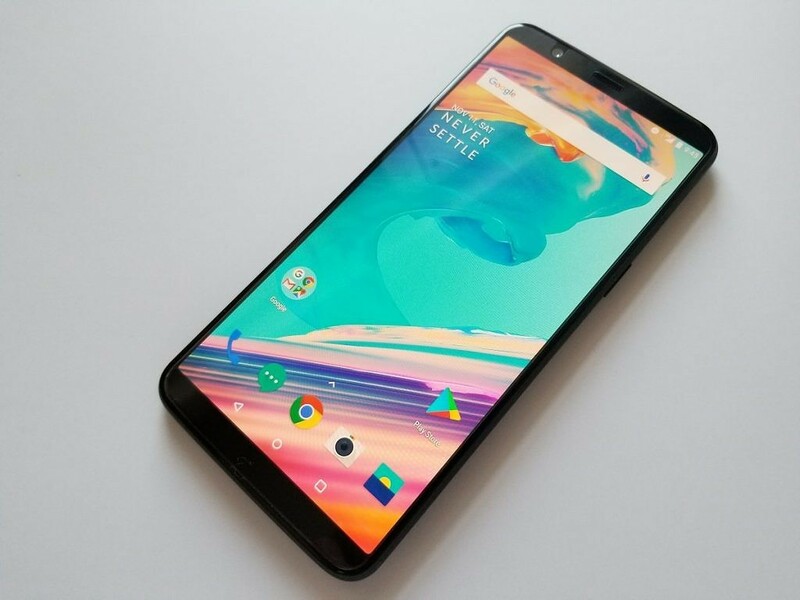 One of those is the OnePlus 5T’s “Shelf”, a toggleable left-most homescreen with your contacts, recent apps, weather, notes, and optional widgets and a dashboard of the phone’s battery, remaining storage, and mobile data usage in the last cycle. 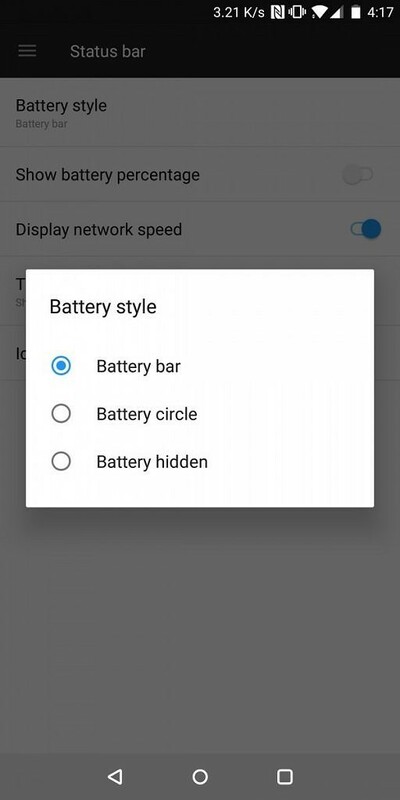 There’s also a settings menu that lets you customize the homescreen grid and install custom icon packs, or choose from the three packs offered by OnePlus (rounded or square icon masks, essentially). I’ve always opted to stick with OnePlus’ Oxygen launcher on all my OnePlus devices, because I’ve found it offers the simplicity and speed I need with just enough customization for me to achieve the perfect homescreen. 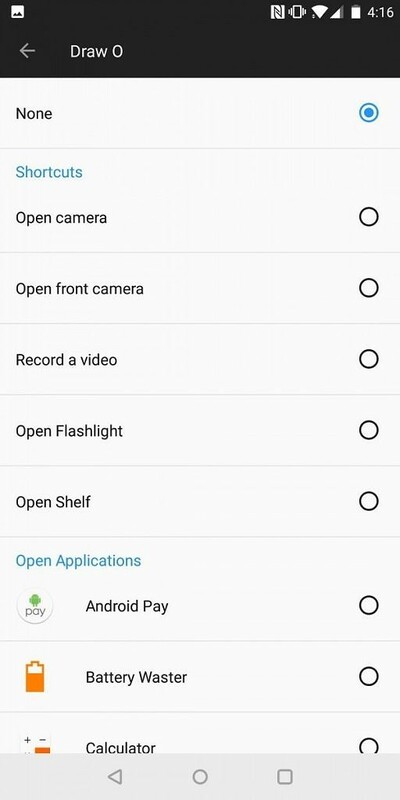 I do disable Shelf, but it’s improved enough in recent OxygenOS releases that some people might find it useful now. 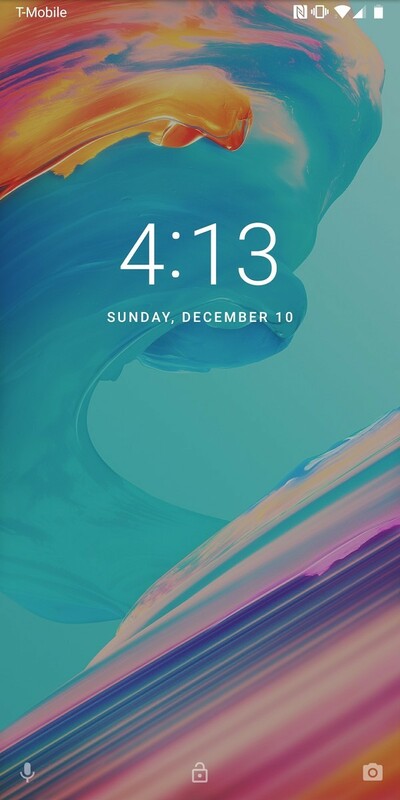 Lastly, I’m a big fan of the wallpapers OnePlus includes with their OxygenOS ROMs, and the OnePlus 5T is no different — in fact, I’m still using the default wallpaper. If you don’t like the OxygenOS’s default accent color or the dark grey highlights of the quick settings tiles and settings app headers, you can opt for different themes and colors. 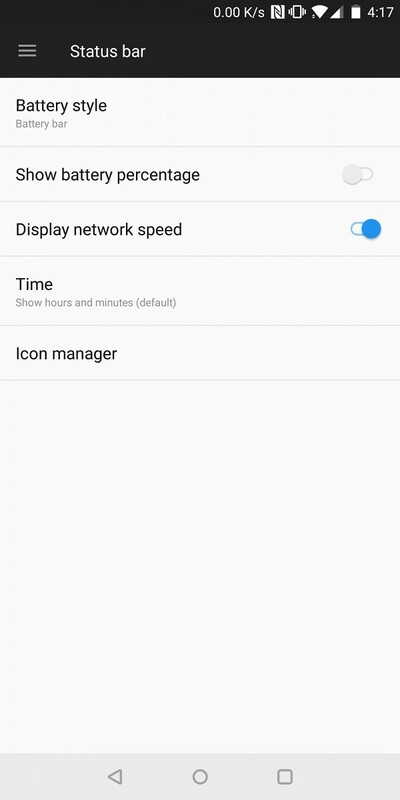 Under the Display settings, you’ll find the default theme (which doesn’t let you customize the accent or background colors), or a light or dark theme. The dark theme is almost purely black, which translates to slight battery savings thanks to the OnePlus 5T’s AMOLED display technology. (The pixels in AMOLED screens shut off to produce black.) And if you choose the light theme, you’ll get white notification and quick toggles pane. OxygenOS has four different colors to choose from (including the default blue accent), but the color selection is a bit unorthodox, with pastel hues and a shocking lack of primary colors like red, an accent color the community has been requesting for months. It’s unlikely to change — OnePlus seems to be saving certain accent colors for special editions of the OnePlus 5T like the Star Wars Limited Edition, which uses red. But luckily, you can use third-party apps or a few ADB commands to supplement the standard palette. One last, very important UI element to note is the navigation bar, which has seen more changes than any other UI element of the OnePlus 5T’s OxygenOS build. The customization options have stayed the same, which I’ll expand on in the next section, but there are some aesthetic differences to note — other than the fact that the OnePlus 5T’s lack of capacitive keys limits interactions to the screen. The navigation bar’s icons are a tad sharper and they’re also placed closer together, and the back button is smaller. (My best guess is that they’ve been adjusted to accommodate the radial distance between your resting thumb and the back button, which is closer to your finger than it was on the OnePlus 5.) 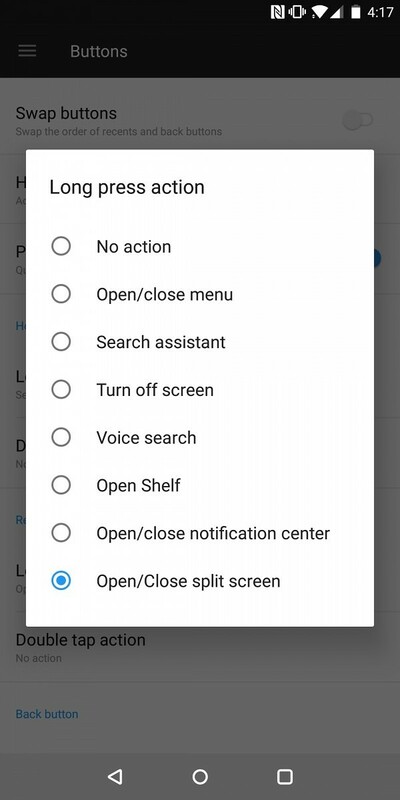 There’s also a neat optional “hide” button that hides the navigation bar and nearly fills the taller 18:9 display, which is a welcome addition — the OnePlus 5T’s on-screen keys might have negated the vertical screen gains of the phone’s 18:9 panel in comparison to the 16:9 OnePlus 5, and we’re happy to see that they can be disabled. OxygenOS has steadily evolved through a consistent series of refinements and feature additions through community builds, closed betas, and user feedback. Because so much of what distinguishes OxygenOS was introduced through over-the-air updates instead of development builds in brand-new devices, the OnePlus 5T doesn’t offer a lot in the way of new features over its predecessor. That said, it does have a few new tricks up its sleeve, and they, coupled with OxygenOS’s existing repertoire of features, make for a pretty functional ROM that’s perfect for tinkerers. We’ve written a lot about how OxygenOS strikes a nice balance between performance and features without cluttering up with going overboard, and in this section, we’ll recap what it has to offer — and what’s new on the OnePlus 5T. Several of OxygenOS’s features tie into the OnePlus 5T’s hardware: Specifically the alert slider and the fingerprint sensor. 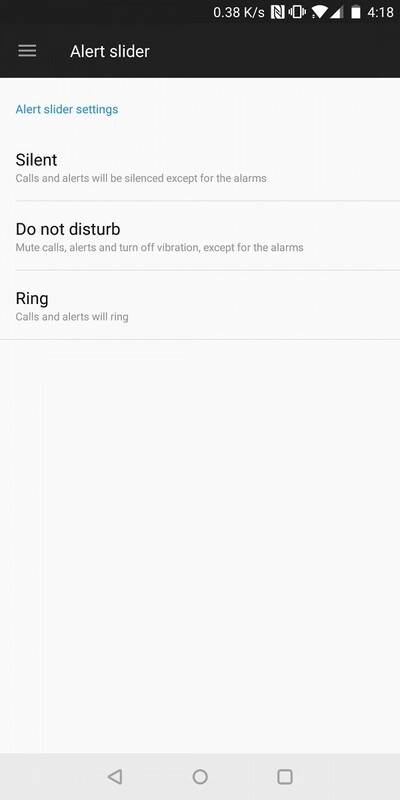 The alert slider, the aforementioned three-stage hardware switch on the OnePlus 5T’s right side, toggles the phone to “Vibrate” when switched to the “up” position; the middle notch toggles the phone to “Do Not Disturb” mode; and the “down” position turns it to “Ring” and restores your previous notification and call volume settings. You can change the behavior of each mode. 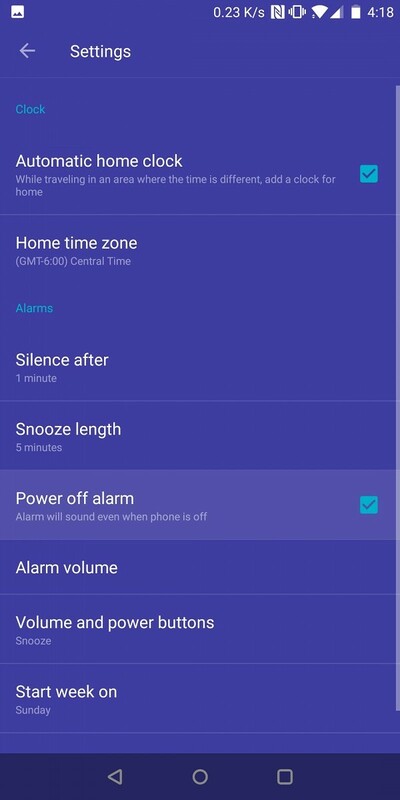 For instance, you can have the OnePlus 5T mute all media and alarms when it’s set to Vibrate, or customize Do Not Disturb so that certain event reminders come through, as well as messages and calls from from favorite contacts and repeat callers (which can be a lifesaver in case of emergencies). 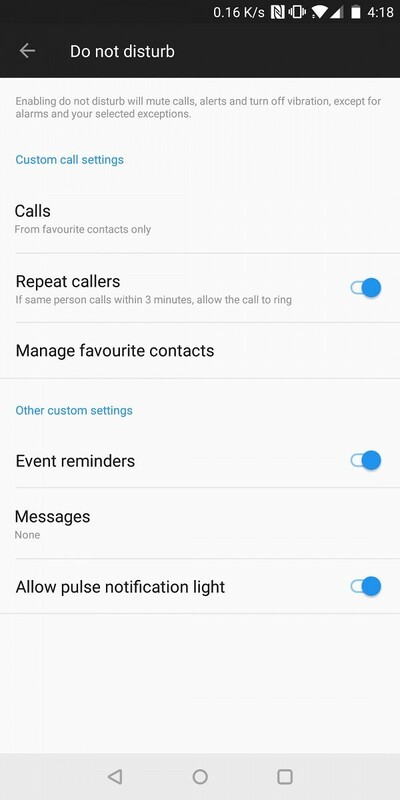 Finally, OxygenOS lets you choose whether incoming calls cause the phone to vibrate when the alert slider is set to “ring”. This is a very, very useful feature that I personally miss whenever I switch from OnePlus devices to other phones. It becomes almost like second nature, and it’s incredibly helpful — I use it to switch sound profiles when the phone’s in my pocket or at night, which saves me the trouble of having to navigate to the settings menu. 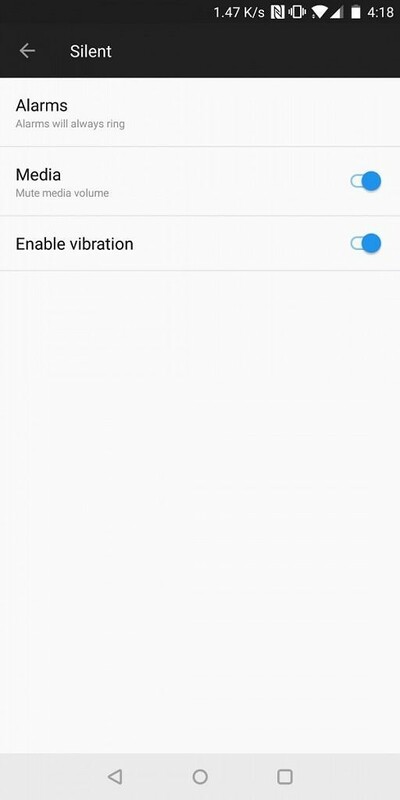 But I wish it was a bit more customizable — I’d like to option to invert the slider order, for example — and I don’t like that OnePlus recently removed the ability to switch the OnePlus 5T to Vibrate mode by repeatedly pressing the “down” key on the volume rocker. I’m not the only one who’s unhappy about that second point — it’s been raised by the community time and time again, and I can’t figure out for the life of me why OnePlus hasn’t addressed it yet. The alert slider isn’t the only OnePlus 5T hardware that benefits from OxygenOS’s versatility. The phone’s fingerprint sensor has gesture support, which works great. But first, a few words on the sensor itself: It’s fast – wicked fast, really – and with the new back placement, unlocking the OnePlus 5T device in one swift motion doesn’t take hand gymnastics — it’s as natural and as seamless as it could be. I’ve never had complaints with OnePlus’ fingerprint scanner implementations, and while the OnePlus 5T takes things in a slightly different direction. I don’t have anything negative to say about it. Moving it from the front of the phone to the back was smart — it allowed OnePlus to introduce convenient new fingerprint gestures, including a swipe-down gesture that pulls up the notification panel and a long-press motion that snaps a picture. In my opinion in, the former is the more useful of the two — particularly because the fingerprint scanner brings you straight to the OnePlus 5T’s homescreen and bypasses lockscreen notifications, allowing you to glance at new messages. The new fingerprint gestures join others that OnePlus introduced in earlier versions of OxygenOS, dating as far back as the OnePlus One. For example, you can flip the phone to mute incoming calls, or perform a three-finger swipe to take a screenshot. The latter feature is particularly handy, and it synergizes perfectly with the quick-edit buttons overlayed on each screenshot, which let you quickly crop, share, or perform some more advanced editing (such as applying filters or making brightness/contrast/saturation changes). That’s just the start. Optional screen-off gestures let you perform actions when the OnePlus 5T’s screen is switched off. A two-finger swipe up or down pauses or plays music, for example, and another gesture switches to previous or upcoming songs in a playlist when you draw a “<” symbol or “>” on the screen. And you can set custom shortcuts tied to letters — scribbling an “O” might open the camera, for example, and a “V” could start recording a video. 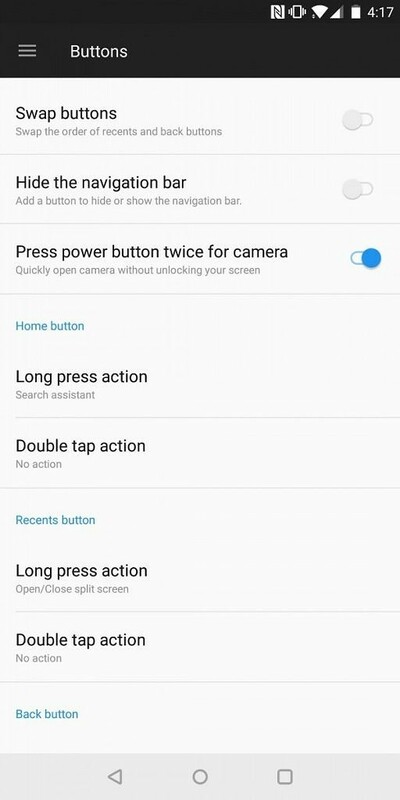 Finally, you can double-press the power button to launch the camera application, and there’s a setting in the application that lets you to not only launch the viewfinder but also take a picture using the same gesture. Of course, OnePlus’s decision to remove the capacitive navigation keys and move the fingerprint scanner to the back means that there’s no way to use biometrics to unlock the OnePlus 5T when it’s lying flat on a surface. Luckily, there’s a solution: An improved “Face Unlock” feature. Now, it’s true that face unlock isn’t new to Android (it’s been in AOSP for many, many years, dating all the way back to Ice Cream Sandwich in 2012). And it’s also true that it’s less secure than other authentication methods, like Apple’s FaceID, which OnePlus doesn’t deny — its facial mapping solution, which uses the OnePlus 5T’s front-facing RGB camera, consists of a hundred depth data points compared to the thousands captured by dedicated hardware. All that said, this isn’t your momma’s face unlock. The results are quite good — I haven’t been able to fool the OnePlus 5T’s Face Unlock with printed pictures, and it’s remarkably fast and reliable in day-to-day usage, especially under less-than-adequate lighting. It struggles in poor lighting conditions, though, but here’s the thing: You don’t have to use it exclusively. I suggest enabling it with the OnePlus 5T’s fingerprint sensor and using both and using whichever works best for a given situation. OxygenOS on the OnePlus 5T ships with security features that give a semblance of privacy, though I wouldn’t put my trust in them. First is App Locker, which let you lock apps behind an overlay that can’t be removed until after you enter a PIN or other form of passcode. It’s useful enough if you’re worried the friend you let borrow your phone might snoop around your app drawer, but sadly, it isn’t as secure as it seems. 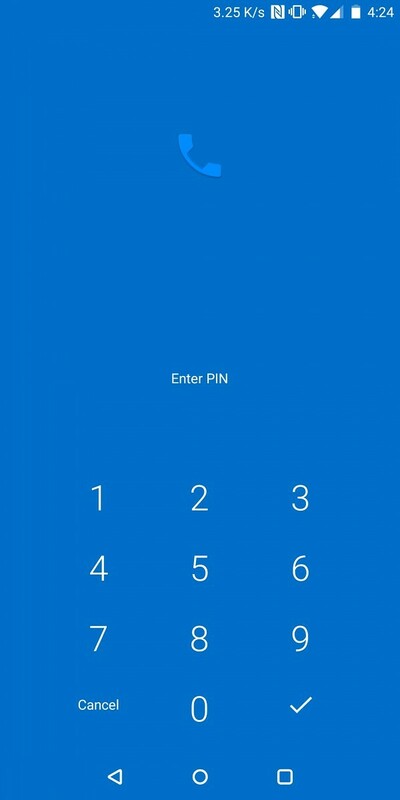 Earlier this year, we reported on how we were able to bypass App Locker by launching the activity containing a toggle that determined whether the feature was on or off — OnePlus accidentally left it as an exported activity accessible via ADB and activity launcher apps, and it remains unpatched in the OnePlus 5T. 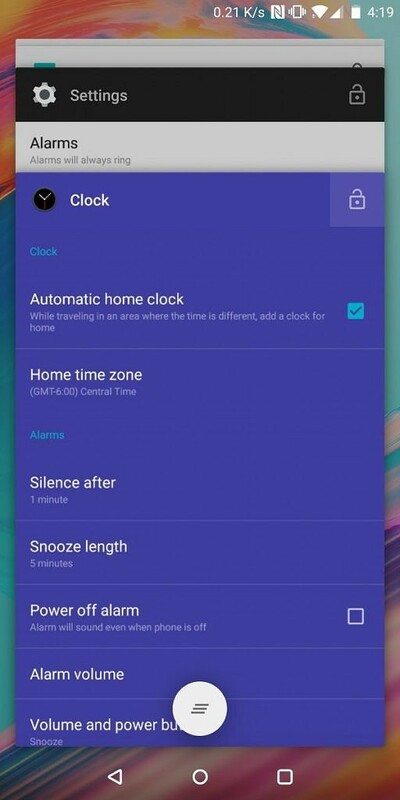 Another feature custom ROM users will appreciate is OxygenOS’s “Scheduled On/Off”, a feature of the stock Clock app that lets you specify windows of time during which the phone turns itself on in order to ring alarms you’ve set. That’ll prevent you from missing alarms even if you accidentally turn the phone off, or if they fall within the scheduled on/off window. Those aren’t all the features OxygenOS has to offer, and we’ll be looking at more in greater depth in part two of our OnePlus 5T review. But the crucial few that take advantage of the OnePlus 5T’s taller, edge-to-edge display are worth mentioning here. Not all apps handle the OnePlus 5T’s 18:9 aspect ratio gracefully, which is why OxygenOS allows you to whitelist them in a “compatibility mode” so that they display in 16:9. 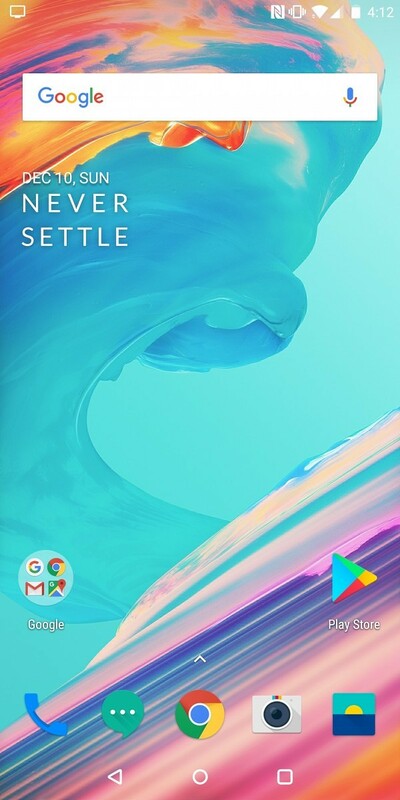 In addition, the OnePlus 5T offers several screen modes and profiles that adjust the the default, saturated look; sRGB, which has been proven to be extremely color-accurate in OnePlus devices; DCI-P3 for a wider color gamut (consider that Android Oreo will improve color management in Android); Adaptive Mode; and the ability to grab the base profile and customize screen temperature via a slider. New to the OnePlus 5T is the adaptive “Sunlight Display” that automatically adapts the screen’s brightness and contrast for specific use cases, such as web-browsing and gaming. And the phone’s brightness can, in fact, get brighter than its user-facing maximum under direct sunlight, like we’ve seen on other AMOLED devices. 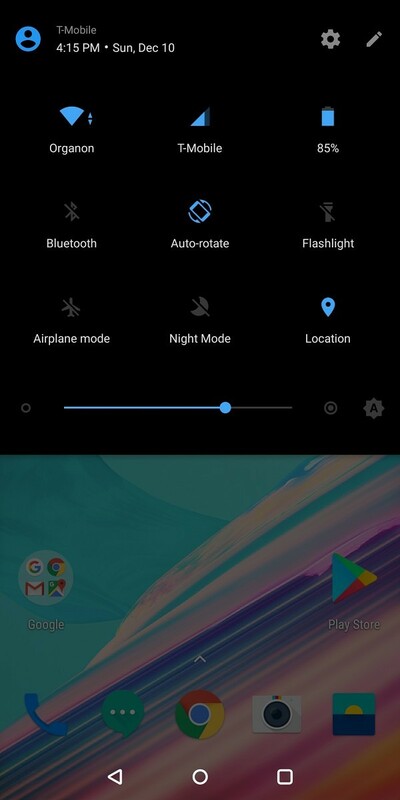 There are other features that make use of ambient light to tweak display properties, including OnePlus’ “Night Mode”, a slightly superior version of the stock Night Light that lets you tweak the effect strength. Reading Mode tweaks the screen’s color temperature to a warmer, almost-sepia tone for whitelisted apps, while increasing contrast and tweaking display parameters based on ambient lighting conditions. And Ambient Display shows notifications when you lift up the screen or receive a new alert. There’s a lot more to say about the OnePlus 5T’s display, but rest assured we’ll cover it in part 2 of our review. There’s no advantage to having great performance if it isn’t matched by equally great battery life, and the OnePlus 5T shows real promise in this area. We’re in the process of conducting an in-depth analysis of the phone’s power draw across a range of scenarios, which we’ll publish in the forthcoming part 2 of our review. But the OnePlus’s Dash Charge technology, the technology that the company claims can deliver “a day’s worth” of charge to the OnePlus 5T’s 3,3300mAh battery (the same capacity as the OnePlus 5) in thirty minutes, gives it a huge leg up over the competition. We’ve written pretty thoroughly about Dash Charge in our review of the OnePlus 3 and our comparison third-party rapid charging standards, but here’s a recap. Basically, OnePlus’s solution, which is a derivative of Oppo’s VOOC (Voltage Open Multi-Step Constant-Current Charging) system, uses a special power adapter and cable to deliver larger-than-average electrical currents to compatible OnePlus devices. Specifically, it produces 4A and 5V for an effective 20W power delivery, but rather than increasing voltage, Dash Charge uses a combination of software and hardware controllers to distribute a high amperage over time. 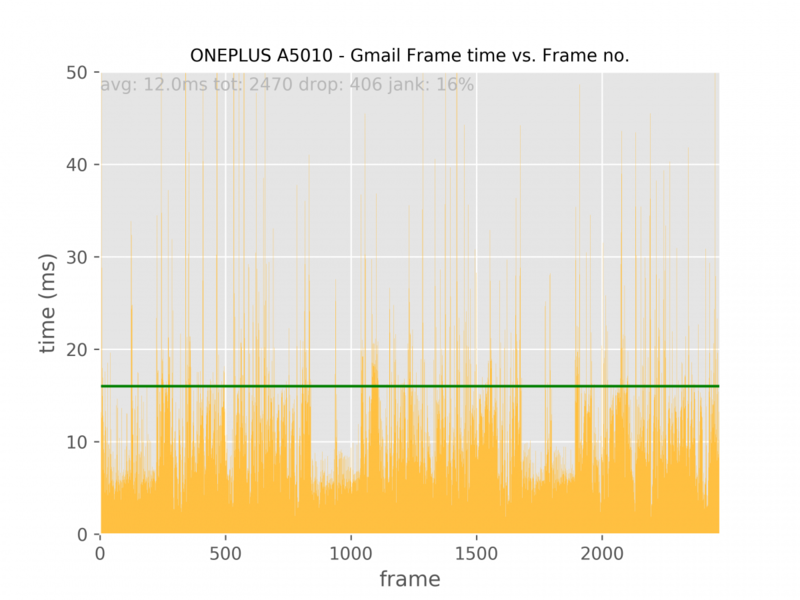 We expect a drop-off pattern comparable to the one we found on the OnePlus 3 and OnePlus 3T. It’s quite complicated under the hood — Dash Charge’s components a microcontroller that monitors charge level; voltage and current regulating circuitry; heat management and dissipation components (that contribute to a 5-point safety check); and a thicker cable that delivers greater current, specializing in minimizing power fluctuations. But the result is a fast charging solution that keeps the phone cooler as it’s charging and subsequently reduces thermal throttling; the charger converts the high voltage from the wall outlet into the lower voltage the battery requires, meaning that most of the resulting heat energy never leaves charger. Dash Charge’s disadvantage is compatibility, of course, and the OnePlus 5T hasn’t improved in this regard. It’s not fully compatible with the USB Implementer Forum’s USB Power Delivery (USB-PD) standard, which means you’re fresh out of luck if you leave the included charging cable or wall adapter. And if you forget to bring either one of those two, you won’t be able to use Dash Charge — it requires both in order to work properly. We’re impressed by the OnePlus 5T’s preliminary results. But despite its shortcomings, Dash Charge remains one of the most impressive fast-charging technologies on the market. In our testing, it handily beat every other OEM solution — including Huawei Supercharge, USB-PD, Samsung Adaptive Fast Charging, and Qualcomm QuickCharge 3.0 we tried in terms of charging speed at lower battery percentages. And when it came to thermal performance, Dash Charge lived up to its name, insulating the phone from slowdowns, stuttering, and the other symptoms of thermal throttling. The OnePlus’s Dash Charge technology hasn’t changed much since the OnePlus 3, and we’re expecting to see the same benefits in the OnePlus 5T. We’ll report back in part 2 of our review. When it comes to development and future proofing, the OnePlus 5T is in a peculiar position, with unique pros and cons that a lot of other phones don’t have. One of the OnePlus 5T’s big positives when it comes to development is it’s a OnePlus. The company has a history of investing in and engaging with the Android and the open source community at large, and it’s one of relatively few that don’t penalize customers for rooting and unlocking their devices. (You retain your warranty even if you choose to modify the OnePlus 5T’s software.) 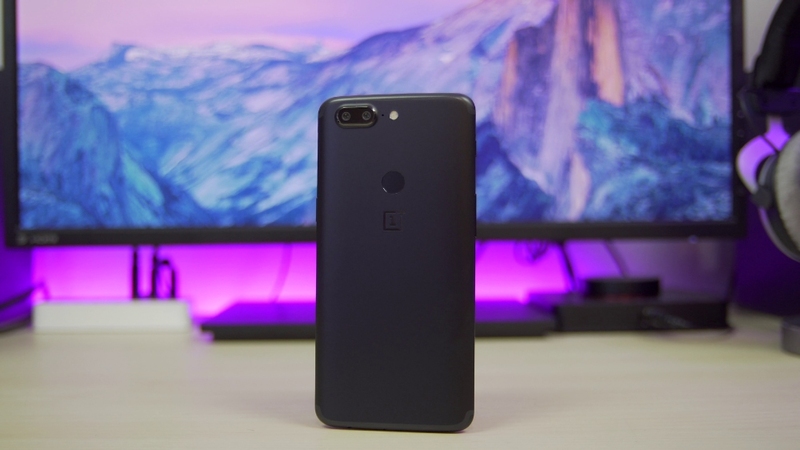 This means that first and foremost, the OnePlus 5T phone is one of the easiest to unlock and root that a developer or enthusiast could purchase right now. Unlocking it, in fact, is a one-step process that’s as easy as entering a few commands in an Android Debug Bridge (ADB) terminal. The technical process of rooting or unlocking the bootloader does not void the warranty of a OnePlus device. However, we strongly suggest for you to only root or unlock the bootloader of your OnePlus device if you are confident in your understanding of the risks involved. The OnePlus makes the OnePlus 5T’s kernel sources and device tree publically available relatively quickly (with some GPLv2 compliance hiccups), which helps speed up development. 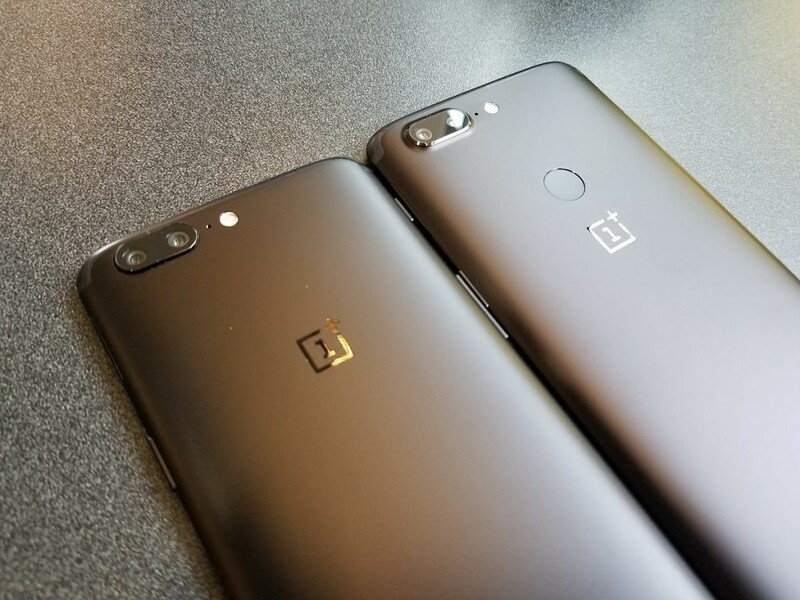 And if it turns out anything like the OnePlus 5, developers will explore ways to make cross-device development easier. Ideally, projects created for the OnePlus 5T will work with a few modifications on the OnePlus 5. The OnePlus 5T, just like its predecessors, is also extremely easy to flash ROMs and other custom work onto. There are unofficial and official builds of custom recovery TWRP available already, so experienced users can jump right into the flashing game. We even saw an unofficial build of TWRP arrive before the OnePlus 5T went on sale. These points paint the OnePlus 5T in a very favorable light when it comes to development. But it isn’t perfect. The OnePlus 5T ships with Android 7.1 Nougat out of the box, despite the fact that it was announced and launched after the release of Android 8.0 Oreo. Devices aren’t launched with Android Oreo don’t have to support Project Treble, a major change in the way the Android OS framework is updated that makes the process easier and less costly for OEMs. Here’s what the means in plain English: With Project Treble, we were able to boot a generic, stock Android 8.0 build booting on the Huawei Mate P9 without a single kernel modification. It’s a big deal! Since the OnePlus 5T doesn’t ship with Android 8.0 Oreo, it isn’t required to support Project Treble. Worse, it won’t support Treble in the future because it reportedly lacks the necessary partitions. OnePlus’s course of action remains to be seen, but the breadth of the changes required make it unlikely that OnePlus will push the partition changes to its customers anytime soon. The OnePlus 5T’s lack of Treble support make it tougher to recommend — especially if you prefer from-the-source official updates. Still, we think the good outweighs the bad, and that the strength of OnePlus’s community will help keep the device relevant for many years to come. Plus, OnePlus has been relatively quick to update its devices. The OnePlus 3 and OnePlus 3T received a stable Android 8.0 Oreo update a few weeks ago, which gives us hope for the OnePlus 5 and OnePlus 5T. Open Android Oreo betas for the OnePlus 5 have already begun, in fact, and it’s just a matter of time until the devices receive their updates in the stable channels. But OnePlus hasn’t promised anything beyond Oreo for the OnePlus 3T, and though it’s impossible to predict what the future beyond Android Oreo holds, it’s a little far-fetched to assume that the OnePlus 5T will receive an update after Android P. That’s why we can’t recommend it for folks who want official updates in the next few years. We’re bullish on the OnePlus 5T. We haven’t gotten to the juiciest parts of our two-part review yet, but there’s plenty about the OnePlus 5T’s software experience and aesthetics that impresses. It has a gorgeous display with an edge-to-edge design that’ll no doubt serve as the foundation of future OnePlus phones to come, and one off the most versatile OEM skins — OxygenOS — on the market. It also has the benefit of a passionate community that’s dedicated to keeping it secure, speedy, and up to date, which bodes well for its longevity. But it isn’t the perfect smartphone. We would’ve liked to see OnePlus address some of the community’s complaints regarding RAM management, and the OnePlus 5T’s lack of Treble support is discouraging. Still, there’s plenty to like about OnePlus’s newest flagship. In part 2 of our review, we’ll cover the OnePlus 5T’s display, audio, hardware, camera, and other odds and ends. Do you have any questions you want answered? What do you want to see in our full review? Let us know and join the discussion!